The use of four letter words such as love, sink, fish, heart, foot, mooo, skill, and cash are encouraged. However, other INAPPROPRIATE four letter words (as Battleground leadership defines them) will NOT be TOLERATED and multiple warnings could result in your EXPULSION. The use of 17 letter words like constitutionalist is highly encouraged. If you would like to box call our friend Sugar Tony at Sugar Tony’s Boxing Academy (269-317-2184) in Battle Creek. Fighting or boxing at Battleground or on the mall grounds will lead to your EXPULSION from the grounds for an extended period of time. Helmets MUST be WORN and CLIPPED by anyone 17 years of age and younger. We reserve the right to card you to verify your age. Stay in your lane (NO SNAKING), take turns, watch behind you, keep your elbows off the table while eating, be gentlemen and gentle-ladies, show respect for others, and open the door for your mothers. Feel free to give high-fives with regularity, however any public displays of affection or lewd gestures WILL NOT be tolerated. Shirts and shoes are REQUIRED at all times. We know you’re buff, we don’t need proof. SMOKING, VAPING, or the DRINKING of alcohol are NOT ALLOWED on the grounds. Not only is our founder allergic to smoke, it’s just impolite in public places. A waiver is REQUIRED to go on the park, this includes parents who want to walk on the park to take a picture. If you are under 18 years of age a parent or legal guardian has to sign your WAIVER. Your friend’s parents, older brother, and uncle do NOT qualify. We love it that you buy food and drinks from us but ask that you keep them in the pro shop and viewing area. Food and drink are NOT allowed on the park. Thank you for following these rules and encouraging others to also! cooperate with Battleground staff at all times. FOR RIDING ANYWHERE OTHER THAN THE PARK. 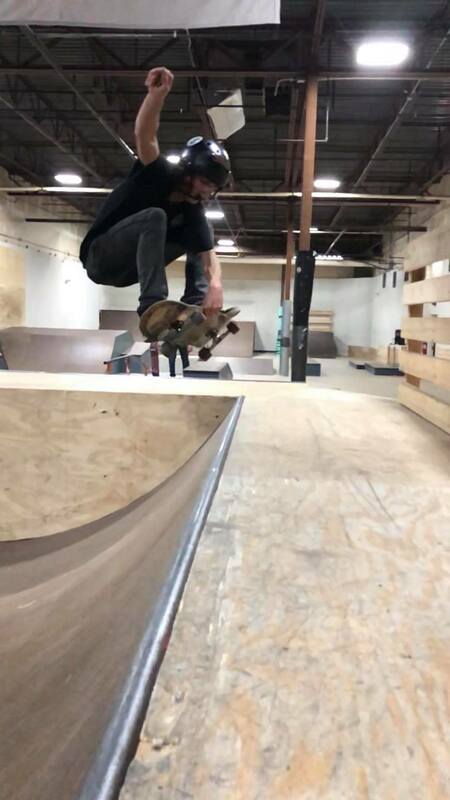 Battleground Skate House & Youth Center Inc.